This was just brought to my attention by this question. Does this not seem extreme? Questions can be answered months later and, as pointed out in the previous question, this can be easily exploited. If I did not like a question, I could just wait 30 days, vote it down and it would be removed? Is it just me, or is this far to heavy handed? I am not advocating for a change exactly but I would really like to here others opinions on this rule, do you like it? Perhaps 90 days or -3 would be better here? I think it's good that the system does this, and I don't think it should be more difficult for questions to be deleted automatically. I think that what happened in Franck Dernoncourt's case is terrible and I really hope that it gets sorted out quickly. But I think that case is exceptional, and should not be considered a flaw in the system, but rather a case of one person behaving maliciously, which is something that hopefully moderators can deal with. 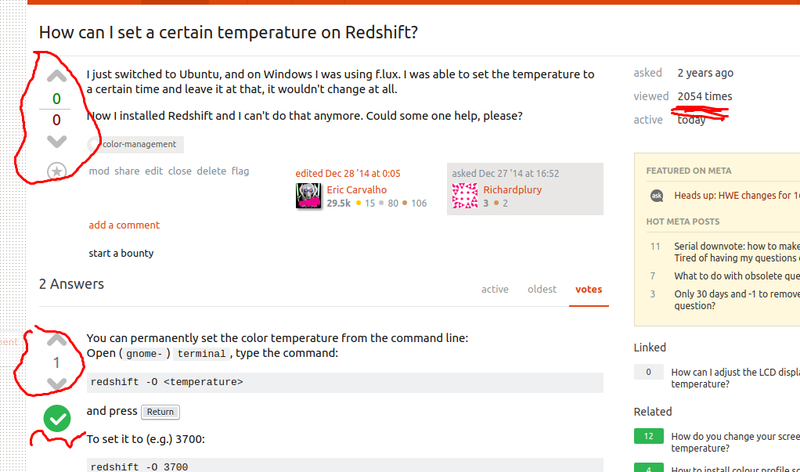 Since traffic is rather high on Ask Ubuntu, most questions don't get enough attention. Reasonable questions do get missed because they require knowledge that relatively few members of the community have. In general, maybe we should be a little bit more generous with votes on questions; as You can vote - do it! suggests, I think we (the whole community) should be voting more - if a question appears to have value, then please consider upvoting it, to help attract some attention to it. On the other hand, if a question is of poor quality, sometimes it will get closed and sometimes it will just get ignored. Requiring -3 to delete a question would make it very unlikely that poor questions would ever get deleted, because very few attract so much negative attention (I do some cleanup, and I find a lot of bad, unanswerable questions with no votes either way - further to what I said about upvoting in the previous paragraph, please consider downvoting questions if warranted too!) and poor quality unanswered questions are just a dead end in search, bringing down the overall usefulness of the site. In those cases where a question gets a downvote that causes it to be deleted, the asker is free to ask the question again if they are still having the same problem. New questions have a much better chance of being answered than old ones. Franck Dernoncourt pointed out in his answer that users are not notified when their questions are deleted. I think it would be better if users were notified in that case, so that they could take action. I agree it is too heavy handed. I agree that amending the threshold to -3 would be better. questions older that 60 days that get deleted cannot even be retrieved by the user unless they have over 10k reputation points or have saved the links to the deleted questions (Wayback Machine may also help, but still, really not very convenient). it's easy to get one random downvote: three downvotes are much more significant. Allowing one downvote to remove a question is pretty much the same as allowing one close vote to close the question: only mods or 1k-tag user may close a question with one close vote. "If a tree falls in a forest and no one is around to hear it, does it make a sound?". If it's a really bad question it would be close voted. If it's a good question it will be voted up. If it's a question with hardly any views, one down vote, no answers and it gets deleted, does anyone really care? Perhaps the criteria can be amended to include the number of views? ie < 10. Optionally questions that currently get auto-deleted could instead go into review queue and people could vote to leave open or delete. A good point is made below that users are not informed their question is about to be deleted due to down vote. This brings up a point of etiquette. When downvoting a question with the intention that it will be eventually deleted post a comment under it advising OP as such. The OP will read the comment (unless he's abandoned the site) and ping the down-voter to retract the vote based on reason "______" (fill in the blanks). Not the answer you're looking for? Browse other questions tagged discussion voting deleted-questions .